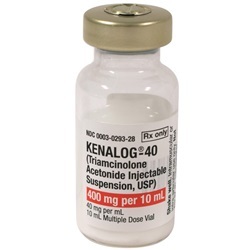 Kenalog-40 is sterile injectable triamcinolone acetonide 400mg (40mg/ml) in 10mL multi dose vial. Corticosteroid. 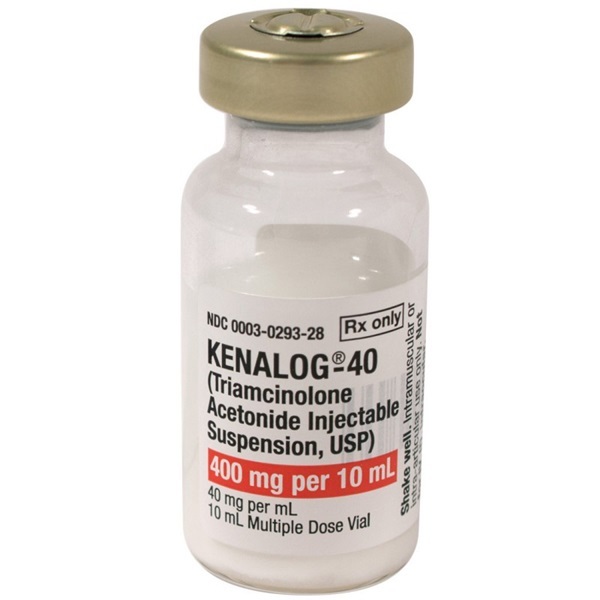 Manufactured by Bristol-Myers Squibb. NDC: 00003-0293-28. Comes as singles.